Ask any dirt bike fanatic which state is the best to chase down adventure, and you’re likely to hear the Midwest referenced quite a bit. It almost seems like the American heartland has become synonymous with dirt biking, with plenty of professional riders hailing from the Midwestern states. If you’re close to the Ozarks, you’re probably well aware that dirt biking is a Midwest pastime. However, if you’re from out of town and planning a trip specifically to get some quality biking time in, you’ll want to narrow down your choices a little bit more. Fortunately, there are many resources for bikers looking to find the most beautiful trails and authentic experiences in the entire United States. Motosport recently polled a wide variety of readers from across the country and nailed down the best states in each of the regions of the US. We take it a step further and give you three of the very best states for dirt biking nationwide, bar none. Get your motocross gear made by Thor ready and prepare to head west—in news that is surprising to exactly no serious dirt biker, the top choices are all inland. As it turns out, flyover country has some great terrain. The Sooner State is not only one of the most naturally gorgeous places in the country, it has a long history related to professional dirt biking. The Reynard Training Complex and Reynard Raceway in Wellston, Oklahoma is owned and operated by 1993 Steel City National winner Robbie Reynard, the youngest champion in history. He was only 16 when he took home the coveted award, and now hosts opportunities for potential racers to train for the Motocross and the National Cross Country on his beautiful eight-mile trail riding system. As a result, this stunning landscape draws thousands of bikers every year, and is just waiting for you to kick up some red dirt. In addition, the interstate trail system known as the Cross Timbers Trail stretches from Kansas through Oklahoma before ending in Texas. If you’re into long-distance off-road adventures and want to see a lot of the American backcountry, this would be an incredible trip to take. The Oklahoma Dirt Riders group has put a lot of care into it and continues to maintain the trail to the best of their ability. Illinois is one of the fastest-growing destinations for bikers. With so many options for fun on the open road and on designated trails alike, it’s easy to see why. McMotopark in Mt. Carroll, Illinois is fifty sprawling green acres of stunning natural and untouched terrain. The park has been designed specifically with riders’ needs in mind, but the course continues to be updated based on visitor feedback, so you can feel free to share your thoughts. The trail is known to be an exciting challenge without inciting too much fear in novice riders. Lincoln Trail Motosports in Casey, Illinois is a slightly rougher course located on 220 acres. A riding school is located on the premises for newbies, while four Motocross tracks are built in ready to accommodate the more experienced thrill seeker. Louisiana is not just famous for crawfish and duck hunting. North of New Orleans, there is plenty of backwoods. 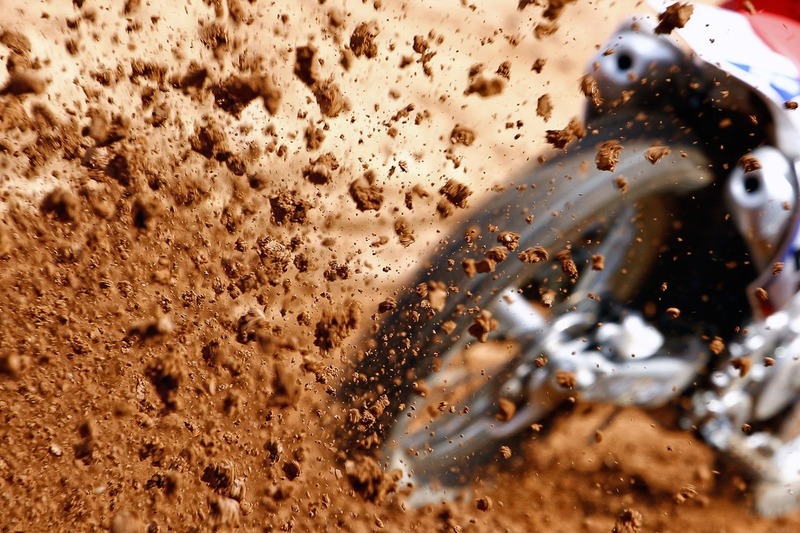 All-American dirt biking in the great deep south state of Louisiana boasts an impressive list of Motocross tracks, including Full Throttle Motocross in Athens, and West Monroe Motocross in West Monroe — home of the Robertsons of Duck Dynasty fame. Off-roading is available in Kisatchie National Forest which stretches through multiple parishes. If you’re coming from out of town, it’s probably best to start off in Shreveport, where you can access the Ranger District. Plenty of delicious Louisiana food is also within reach. No matter what, you wouldn’t want to miss cajun dining in Denham Springs, LA. Whether you’ve just started riding or are more experienced, there’s no place to go on an adventure than through the Midwest. Keep these destinations in mind and explore the trails, scenery, and activities established exclusively for riders. Such great information you have put on your blog post. I really appreciated it.